Tom Brady was awesome but didn’t deserve the Super Bowl MVP. James White did. Tom Brady + five rings + the biggest comeback in Super Bowl history + separately awesome game-tying and game-winning touchdown drives + sweet, sweet revenge = the greatest of all time. If you don’t buy it, then you’re letting your hatred of the New England Patriots cloud your opinions too much. But just because Super Bowl LI clinched Brady’s spot as the Super Bowl G.O.A.T. doesn’t mean he deserved his fourth MVP award for his performance. No, that honor should have belonged to James White, the Patriots’ third-leading rusher and fifth-leading receiver during the regular season who, in true New England fashion, came out of nowhere to become the standout star of Sunday’s record-setting, come-from-behind win. 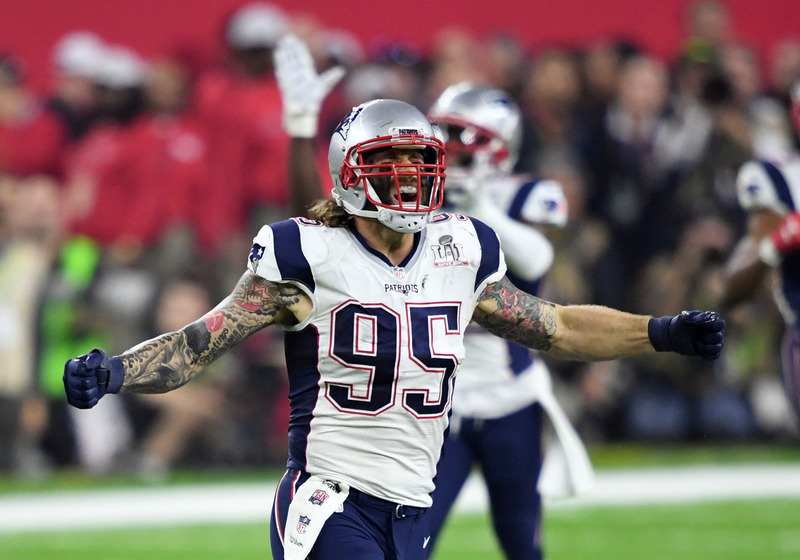 White set Super Bowl records with 14 catches and 20 points, the latter of which all came in New England’s furious comeback from a 28-3 deficit to the Atlanta Falcons. In doing so, the third-year back out of Wisconsin became the first player in NFL playoff history to have 10 catches, 100 receiving yards and two rushing TDs in a game. White caught the touchdown that gave the Pats new life (28-9), scored the two-point conversion that kept hope alive (28-20) and ran it in with 57 seconds left (28-26) to set up the two-point conversion that sent the game to overtime. And once in the extra session, White went into the end zone for a record-tying third time to seal the game. He outscored the Falcons 20-0 in the final 21 minutes of the game. Okay. I’ll agree with that. But if you’re clinging to that argument then you have to believe that because the quarterback is always the most important player on the field, that position should win MVP in every Super Bowl that doesn’t feature a transcendent rushing performance or mediocre all-around play that helps a defensive player get the nod. I’m not buying. It’s a theory that’s all well and good for the MVP of a season, where quarterbacks have 16 games to distance themselves from every other position to show their worth, value and most outstanding play. In a single-game situation though, one-hit wonders can, and do, sometimes deserve the nod. If LeGarrette Blount gets one of those touchdowns or two of those passes go to Danny Amendola, then we’re not having this conversation. Brady’s spreading of the wealth would have made him a no-doubter. But White did have the three touchdowns and did have the 14 catches and did have the game-changing scores. It happened. In the end, the Super Bowl MVP is a frivolous thing, a piece of trivial ephemera that keeps Larry Brown, Dexter Jackson and Ottis Anderson in the history books. But it still matters as much as any of these things do. Tom Brady isn’t just the straw that stirs, he’s the drink. 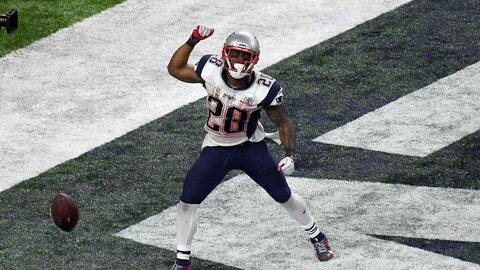 But for four hours on Sunday night, in this specific game among those specific circumstances, James White was the most valuable player on the New England Patriots. It might not have earned him the MVP but, hey, at least it earned him a trip to Disney World.